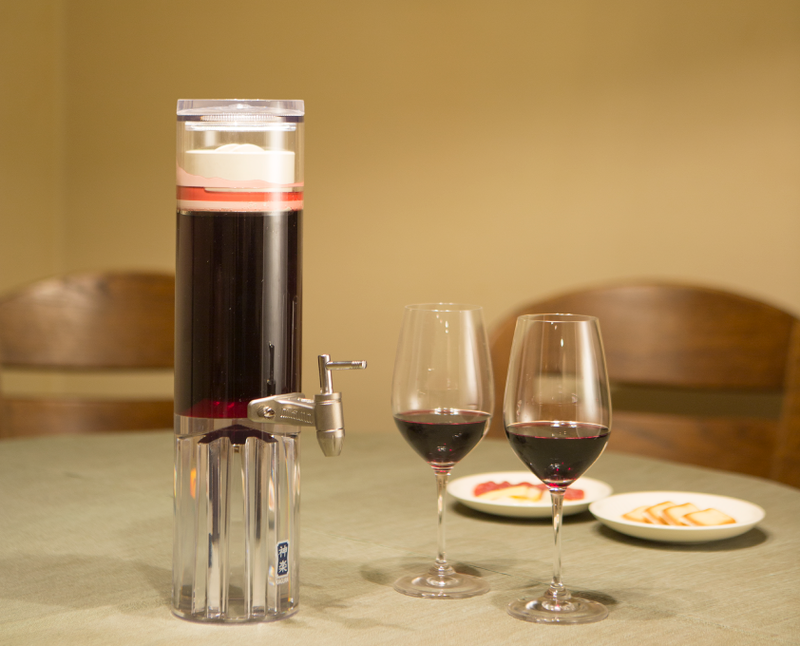 Just pour a bottle of wine (760 ml) of wine in the dispenser! No electricity and gas replenishment are required. Easy to handle and effective. Wine is the center of happiness. A glass of nice wine a day helps your health, relaxes our mind and brings smiles to faces. 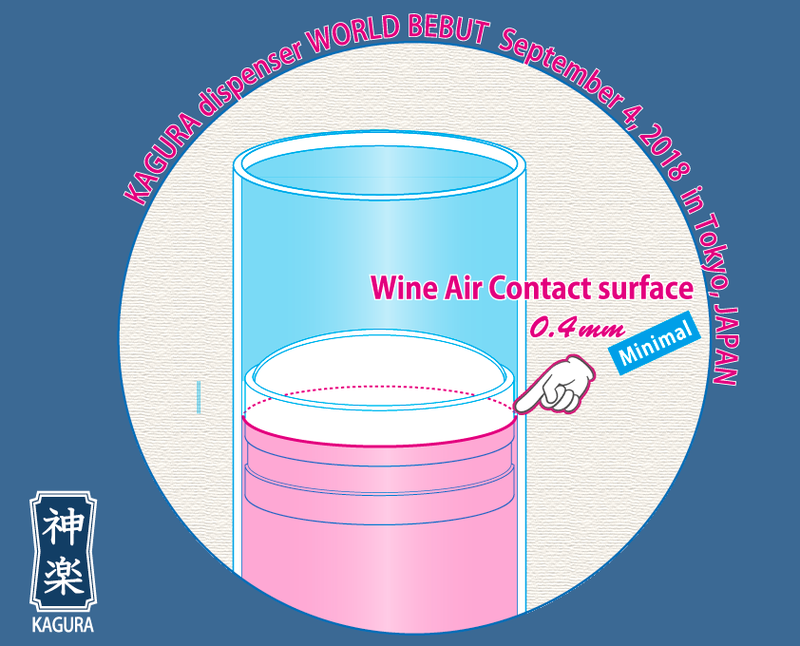 Minimal gap between the floating lid and the wine minimizes the physical air contact, allowing the wine a breath of air and preventing oxidization of wine for up to 10 days. 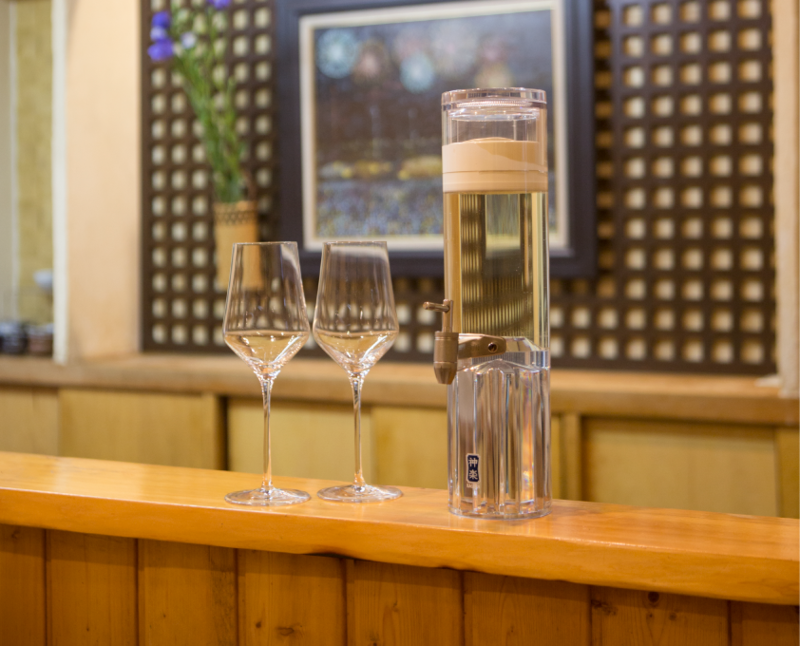 Making a good relationship with wonderful wine? Many wonderful things 1 glass of wine a day can do for you. A glass of special wine a day relaxes your mind and contributes to your good health. 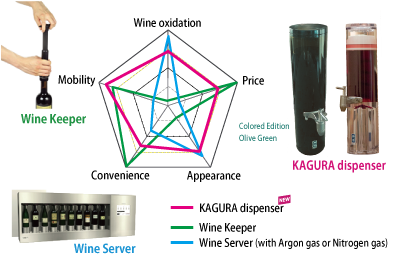 KAGURA dispenser” can be easily stored in a door pocket of your home refrigerator. In Europe and the United States, elution of bisphenol (BPA), lead (Pb) and cadmium (Cd) are strictly controlled by laws and regulations of food containers. 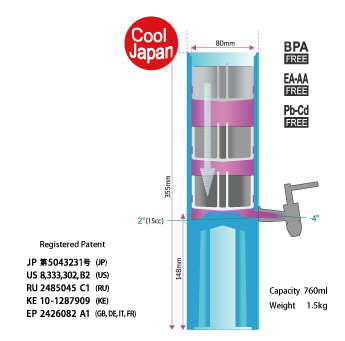 "KAGURA dispenser" consists of 18-8 stainless steel metal parts, a resincontainer integrally molded with the US highest standard resin material for chemicals, a ceramic valve, and several silicone packings. It is a patent product registered in Japan, the US, the UK, France, Germany, Italy, Russia, and Korea. The mechanism of this made in Japan product is originated from the tea leaf box of traditional Japanese tea ceremony which suppresses oxidation of tea leaves. All the fine work of “KAGURA dispenser” have been realized by the techniques of the Japanese craftsmen. © KAGURA FEAST CORP., 2019 All Rights Reserved.